A man dubbed Crawley’s ‘most wanted’ by police has been arrested. 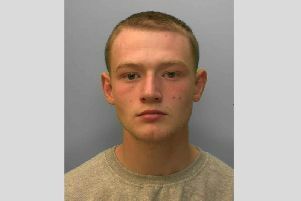 Officers said Harry Brackpool was wanted in connection with several alleged violent offences in Merstham, Three Bridges and Crawley. Posts on Brackpool’s Facebook page over the weekend seemed to taunt police. A picture was posted of him with his arm around a miniature model of a policeman. A spokesman for Surrey Police said he was arrested yesterday (Thursday August 18) in Crawley. In a statement the force said: “A man wanted by police has been located and arrested. “Harry Brackpool, 24, was arrested yesterday evening (Thursday, 18 August) in Crawley. He is currently in police custody.